Home » » Report of The Nigerian Bar Association Election Working Group (Nba-Ewg) On The Osun State Governorship Election Held On The 22nd Day Of September, 2018. Report of The Nigerian Bar Association Election Working Group (Nba-Ewg) On The Osun State Governorship Election Held On The 22nd Day Of September, 2018. Introduction The Independent National Electoral Commission (hereinafter referred to as INEC) conducted the Osun Governorship Election on the 22ndday of September, 2018. 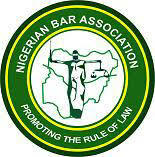 The Reference The Nigerian Bar Association Election Working Group was mandated by the Nigerian Bar Association to observe the elections, ascertain and be able to comment on the extent of the conformity of the processes and procedures for the conduct of elections in Nigeria with regional and international standards and best practices. For the Osun State Governorship Election, its terms of reference encompassed the following: 1. To carry out a pre- and post-election assessment of the state of preparedness for the conduct of the gubernatorial elections in Osun State and make determination on whether all the political parties, candidates and other stakeholders are afforded the rights and freedom to campaign and canvass for votes in a free and fair atmosphere. 2. To observe relevant aspects of the election activities and conduct of the Gubernatorial Elections and assess the state of preparedness of the Independent National Electoral Commission, the security agencies and other relevant stakeholders. 3. To consider various factors that may affect the conduct and credibility of the electoral process as a whole. 4. To determine whether conditions exist for a free expression of the will of the people. 5. To propose to the Independent National Electoral Commission such required actions on institutional, procedural and other matters as would assist in advancing the electoral process. Deployment of Observers The Independent National Electoral Commission (INEC) accredited the NBA Election Working Group (NBA-EWG) to observe the Osun State Governorship Election. In consonance with the said accreditation, the NBA-EWG was deployed to Osun State on Wednesday, 19th September, 2018. The NBA-EWG was joined by the Chairmen of the five branches of the Nigerian Bar Association in Osun State which include the Chairmen of Osogbo, Ikirun, Ilesa, Ile-Ife and Iwo branches of the NBA. The NBA Election Working Group deployed its members to various Local Government Areas in the three Senatorial Districts of Osun State comprising Ede North, Ede South, Irepodun, Osogbo, Ayedaade, Irewole, Isokan, Egbedore, Iwo,Boluwaduro, Boripe, Ejigbo, Ife Central, Ife East, Ife North, Ife South, Atakumosa West, Ifelodun, Ila, Ilesha East, Ilesha West, Obokun, and Oriade Pre-Election formalities There was a pre-election protocol on electoral education for Observers organized by the INEC on Thursday 20thSeptember, 2018 at Aurora Event Centre, Osogbo-Ikirun Road, Osun State. The Election Observers were briefed on the processes and procedures guiding the conduct of the election. Political Parties Forty-Eight (48) Political Parties participated in the 22ndSeptember, 2018 Osun State Governorship Election. INEC provided the requisite materials for the polling units. In all the polling units observed, the Presiding Officers and Supervisors confirmed that they received the election materials. Opening of Polls After setting up of polling stations, the presiding officers read out the voting guidelines to the voters. Most polling units opened between the hour of 7:00am/7:30am as observed by the NBA-EWG. In Ife Central Local government at Akrabata Polling Zones, Ward 10, unit 1-12, the INEC officials arrived at 6:50am. There were four INEC Officials in each polling unit. The Presiding Officers in each unit addressed them by stating the guidelines of the election. Voting and accreditation started at about 8:00am simultaneously. Voters’ Turn Out. Voters’ turnout was impressive at most of the polling units. However, in some polling units like Ilesa Ward 09, Unit 09, the total voters expected was 588 but the total votes cast was 552, Also Ward 9 Unit 6B total number of voters expected was 573 but votes cast was a total of 187. Also, at Ward 10, Unit 12A and B, expected voters were 1,213 but the total votes cast was 369. In most of the polling units observed, there were significant turnouts of senior citizens, women and persons with disabilities. Some of the Presiding Officers allowed the Senior Citizens, nursing mothers and persons with disabilities to cast their votes before other voters. Agents of Political Parties Some of the Political Parties deployed their Party Agents to most of the polling units. However, there were more party agents in the urban areas than in the rural areas. The Card Readers The Card Readers worked significantly well. However, in few of the polling units observed by the NBA-EWG, the Card Readers could not authenticate the finger print with the voter’s card. In such situations, the voters were allowed to vote by ticking the non-authentication box. But when the card reader did not recognize/verify the voter’s card, such persons were not allowed to vote. While in Ede North Local Government Area, Unit 01, ward 01, two persons were not allowed to vote because the card reader could not authenticate their cards; they were however disqualified from voting. In Ode village, ward 2, Unit 9, the card reader had network challenges in reading voters’ fingerprints but there was a technician on ground to resolve the issue. At Ede South Local Government Area, Unit 10, Ward 4, the card reader became faulty at about 8:20am; a technician was called in and the malfunction was resolved at about 8:40am. The elderly also had challenges with the card readers in the area of detection of their finger prints which caused some delays, but they were later accredited using the register of voters to cross check their passport photographs which enabled them to vote. Security Issues NBA-EWG observed a marked improvement in the conduct and disposition of the security agencies on election duty in Osun State. Most of them were courteous and did not interfere with the electoral process. The different security personnel provided adequate security for the polls. In most of the polling units observed by NBA-EWG, the Security personnel comprising of Nigerian Police, the Civil Defense Corps, Nigerian Prisons Service, NDLEA, Nigerian Customs, Immigration, deployed to the polling units, reported on time. Most of the polling units had adequate security. The Nigerian Military and Mobile Police Force provided security at the entrance and exit to Osun State as well as at the boundaries of Local Government Areas. Conduct of Voters Despite the envisaged fear, anxiety and uncertainty occasioned by pre-election build-up, the people of Osun State went out in significant numbers to the polling units to cast their votes. Most of the voters understood the electoral process and conducted themselves very well and this accounted for the peaceful atmosphere that was witnessed during and after the electoral activities. Influence of Money: We did not observe any incident of vote buying, inducement or exchange of money. SUGGESTIONS: 1. INEC should put in place an accountability mechanism that rewards diligence and sanctions negligence. 2. INEC should also post experienced, courageous and knowledgeable supervisors to the wards and Local Governments to assist in tackling logistics challenges in a way that does not undermine the electoral process. 3. INEC should provide more Card readers and technicians. 4. The Ballot boxes appear small and cannot accommodate most of the ballot papers. There is need to provide bigger ballot boxes for subsequent elections. COMMENDATION: 1. NBA-EWG commends the people of Osun State for their peaceful conduct during the election. To a large extent the process was peaceful, orderly and successful. 2. NBA-EWG commends the Nigerian Police Force and the other security agencies that provided security for the elections. 3. The display of voters list at the polling station which enabled individuals to cross check and identify their names and numbers on the list before approaching the Electoral officers for accreditation and voting, eased the process. This was commendable. 4. The adoption of accreditation and voting simultaneously has fast-tracked the process and consequently reduced the tension occasioned by frustration and impatience which could have ignited violence. This also was commendable. The conduct of this election is a great improvement from what we have witnessed in the past. However, the election was declared inconclusive by the Independent Electoral Commission (INEC) and a rerun is scheduled to hold on the 27thof September, 2018.